We offer exclusively manufactured Titanium sheet that is available in different widths and thicknesses. Grade: Commercially Pure (Gr.1 and Gr.2), Ti6Al4V (Gr.5)itanium Sheet. 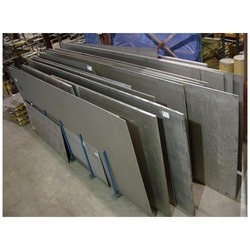 We are the Manufacturer, supplier, and stockist of T.
We are offering Titanium Sheets to our client.